Summary: Nalmefene blunts the brain’s reward pathway in people with alcohol addiction, a new study reports. Scanning the brains of alcoholics taking medication to beat their addiction has revealed new insights into how the treatments work. In a small trial, carried out at Imperial College London, researchers have provided a unique view into the brains of active alcoholics taking a newly licensed treatment, showing that the medication blunts the brain’s reward pathway. The team believes the findings could help to improve existing drug treatments for alcoholism by targeting them to those who are most likely to benefit, and even lead to the development of more effective treatments. Led by Professor Anne Lingford-Hughes, a consultant psychiatrist and addiction expert in Imperial’s Department of Medicine, the group set out to explore the effects of nalmefene – a compound which modulates opioid receptors in the brain – in alcoholics. Nalmefene has been successfully shown to treat alcoholism and also pathological gambling. It appears to work by effectively dulling the desire for alcohol, or the need for a ‘win’, but exactly how it affected the brain was unclear. Now, findings from the Imperial team’s latest study suggest that the drug blunts the response in key areas of the brain involved in habit formation. The researchers believe nalmefene effectively reduces the anticipation of alcohol by interfering with the brain’s dopamine-based reward systems. In the latest study, published in the journal Biological Psychiatry, the team recruited 22 alcoholics who were not currently seeking treatment to see the effect of nalmefene. The volunteers were asked to perform tasks in an MRI scanner and were administered the single dose of the drug, equivalent to what they would receive in the real world setting (18 mg). As part of a classic reward anticipation set up, participants were shown a screen with symbols flashing up, some of which meant they would win a small cash reward. Throughout the task, snapshots of their brain activity were taken using the fMRI, highlighting when they were anticipating the reward. However, unlike other studies, the volunteers were under the influence of alcohol, receiving an intravenous infusion to bring their blood-alcohol levels up to the English drink drive limit (80 mg per 100 mL of blood). Scans revealed that when patients took nalmefene with alcohol, activity in two areas of the brain, the dorsal and ventral striatum, decreased. Neuroscientists believe that these regions are key in habit-formation, with activity shifting from the ventral to the dorsal region as the habit develops. But in the heavy drinking volunteers, the feedback system was dampened down by nalmefene, which was linked with reduced anticipation of a reward. Nalmefene has been successfully shown to treat alcoholism and also pathological gambling. It appears to work by effectively dulling the desire for alcohol, or the need for a ‘win’, but exactly how it affected the brain was unclear. NeuroscienceNews.com image is adapted from the ICL press release. The team believes that not only could the work lead to better targeting of existing drugs, it could also help to develop new drug treatments for alcoholism. They stress that one of the limitations of the study is the lack of a control scan, where the volunteers would have been imaged without the influence of alcohol. 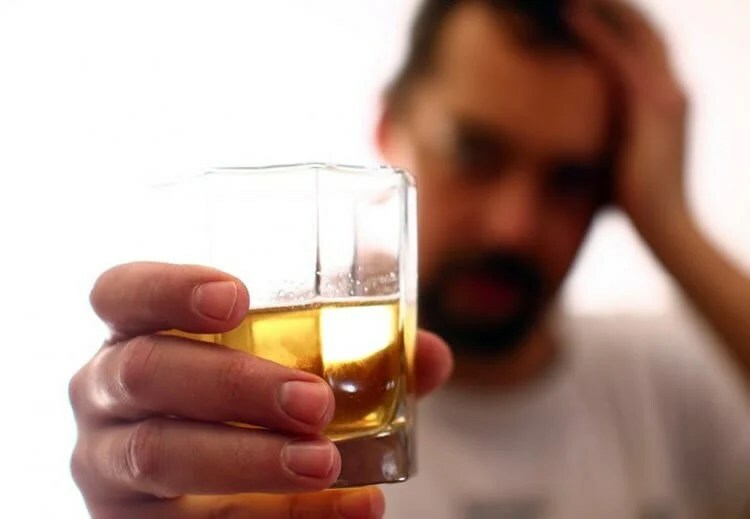 However, previous studies testing similar drugs in patients who were not under the influence of alcohol showed a lack of modulation of brain pathways, hinting that the treatments are most effective in the presence of alcohol – something consistent with clinical findings. “What our findings show is that if patients have been pre-treated with this drug, we blunt the response to that monetary reward, so they seem to be getting less brain activation to the rewarding stimulus,” added Professor Lingford-Hughes. Image Source: NeuroscienceNews.com image is adapted from the ICL press release. Imperial College London “Window to Brain’s Reward System Could Lead to Better Treatments for Alcoholism.” NeuroscienceNews. NeuroscienceNews, 20 March 2017. Imperial College London “Window to Brain’s Reward System Could Lead to Better Treatments for Alcoholism.” http://neurosciencenews.com/reward-system-alcoholism-6262/ (accessed March 20, 2017). Nalmefene is a µ- and δ-opioid receptor antagonist, κ-opioid receptor partial agonist that has recently been approved in Europe for treating alcohol dependence. It offers a treatment approach for alcohol-dependent individuals with “high-risk drinking levels” to reduce their alcohol consumption. However, the neurobiological mechanism underpinning its effects on alcohol consumption remains to be determined. Using a randomized, double-blind, placebo-controlled, within-subject crossover design we aimed to determine the effect of a single dose of nalmefene on striatal blood oxygen level–dependent (BOLD) signal change during anticipation of monetary reward using the monetary incentive delay task following alcohol challenge. Twenty-two currently heavy-drinking, non–treatment-seeking alcohol-dependent males were recruited. The effect of single dose nalmefene (18 mg) on changes in a priori defined striatal region of interest BOLD signal change during reward anticipation compared with placebo was investigated using functional magnetic resonance imaging. Both conditions were performed under intravenous alcohol administration (6% vol/vol infusion to achieve a target level of 80 mg/dL). Datasets from 18 participants were available and showed that in the presence of the alcohol infusion, nalmefene significantly reduced the BOLD response in the striatal region of interest compared with placebo. Nalmefene did not alter brain perfusion. Nalmefene blunts BOLD response in the mesolimbic system during anticipation of monetary reward and an alcohol infusion. This is consistent with nalmefene’s actions on opioid receptors, which modulate the mesolimbic dopaminergic system, and provides a neurobiological basis for its efficacy.